IAAP Annual Convention is the largest aggregates industry convention in the Midwest with over 400 attendees each year. 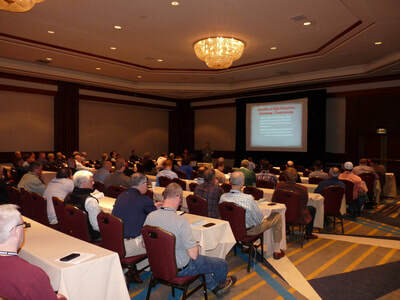 Aggregate Miner Safety Conference attracts more than 100 attendees. 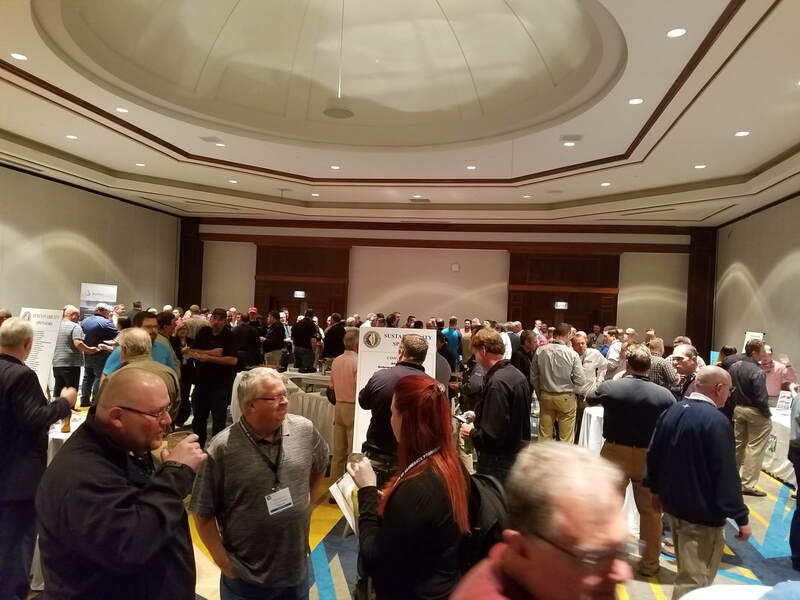 $325 per space plus booth worker tickets: $150 IAAP Member or $200 Non-member includes seminars and food & beverages at all social gatherings. Each space is 10’ wide by 8’ deep with an 8’ tall backdrop, a display table (8’ x 2’), chairs, electrical outlets, wireless internet. A key part of convention—an opportunity to exhibit your products and services to a large number of IAAP members. 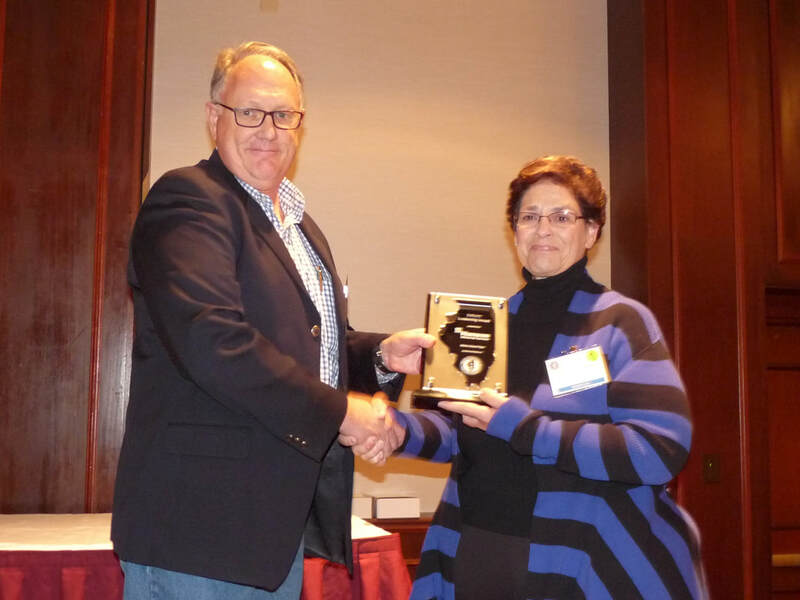 Price includes donation towards the Associates’ Luncheon held on March 7th which entitles your company special recognition in the convention program and during lunch. Limited number of corner booths available. Please indicate your needs on the registration form. Door prizes to attendees for visiting your company in the expo. Booth setup in the expo area on the 1st floor may begin as early as 8:00 a.m. on Wednesday, March 6th and will continue throughout the day. Upon arrival, check-in with Jodi Crowe at the convention registration desk located in the main lobby of the hotel. You will be given your booth number & location at that time, as well as log-on instructions for wireless internet. You will also receive your name badge to be worn throughout the convention. Strive to have your booth set and ready to go by 5:00 p.m. on March 6th when the Rock & Roll Opening Reception begins. On Thursday, March 7th, the Plaza will reopen for set-up at 5:00 a.m. with the expo officially beginning at 7:00 a.m.
Large display items should be brought in through the service entrance on the east side of the building. Access to this entrance, leading directly into the exhibit area, is available on the ground floor for ease of vendor loading and unloading. The width of this entrance from the outside of the building is 9’ 6”. Available on a first-come, first-served basis, the hotel's pallet jack may be used for heavier items up to a maximum weight of 5,500 pounds. The hotel requests that heavy equipment be loaded, unloaded and placed in the exhibit booth area by the individual vendor as the hotel will not take responsibility for damage of equipment in the loading and unloading phase. Please check with Melissa Horn at (217) 585-2808 or mhorn@cpspringfield.com with any additional questions regarding your exhibit. She will be very happy to assist with your requests. Each expo booth space measures 10’ wide x 8’ deep (unless you purchased two booth spaces for 20’ wide) and each space includes an 8’ x 2’ display table, chairs & electrical outlets. Your display must fit within your Expo booth. Booth locations will be assigned about a week prior to convention. You may begin removing your display at 6:30 p.m. on Thursday, March 7th when the convention has concluded. All booths must be removed from the expo area by 10:00 p.m.
$275 IAAP Member ($175 if a Convention Expo booth is also purchased) or $375 Non-member plus conference ticket, $100 IAAP member or $115 non-member. Set-up in the Sapphire Ballroom (2nd floor) beginning at 8:00 a.m. on Tuesday, March 5th. 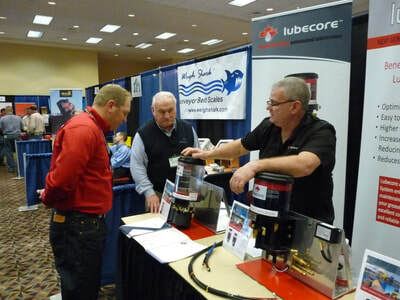 The conference and expo will open at 9:30 a.m. Upon arrival, check-in with Jodi Crowe at the registration desk located in the main lobby of the hotel. You will receive your name badge to be worn throughout the Safety Conference. If you are attending both the Safety Conference & Convention, your name badge will be marked accordingly and should be used for both events. We are seeking items for door prizes during the conference. Your donations will be greatly appreciated and can be brought with you to the conference. You may remove your display at 11:45 a.m. on Wednesday, March 6th when the conference has concluded. ​Please note: IAAP members purchasing a safety conference display table and a convention expo booth, these display locations are on different floors of the hotel. You will have time during the afternoon of March 6th to move your materials to the convention expo area.